A system restore is a Windows function which allows the user to restore computer data such as system files, programs installed, etc. If you perform system restoring operation on computer, the OS will only keep system files on your computer. But desktop files will not be marked as system files and kept by the OS after restoring the system state. Safe365 Any Data Recovery Pro offers easy but effective solutions for users to restore data from different situations including recovering files on desktop after restore system state. 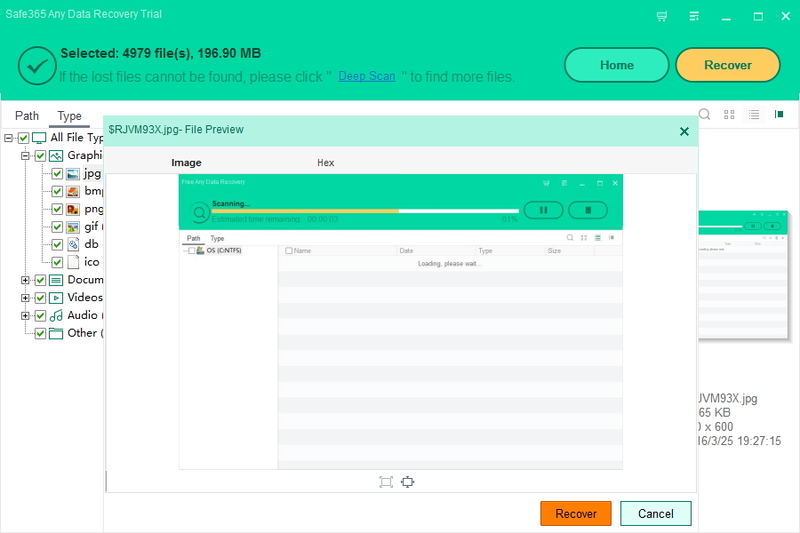 Install and launch Safe365 Any Data Recovery Pro on your computer. Step 1. 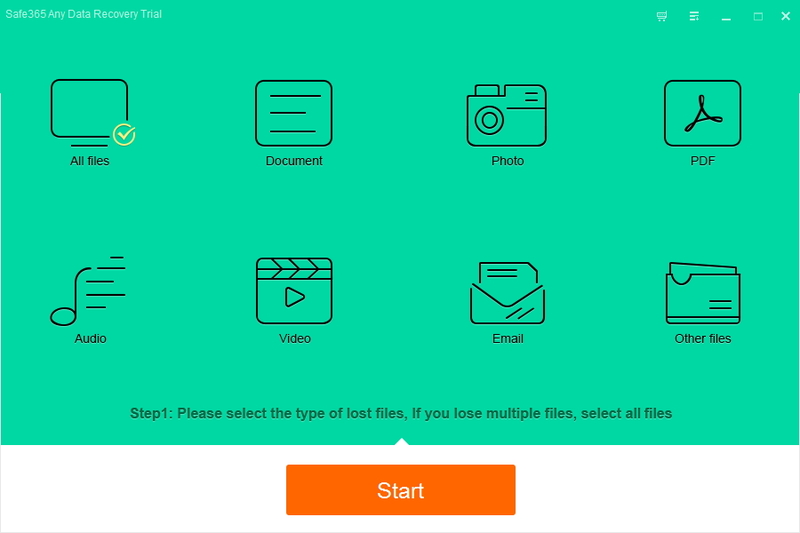 Select the files types you need to recover. Step 2. Select the drive that you lost your data to start data scanning. C drive is usually set as the system drive by default. Step 3. After scan, preview lost files and save it to another drive to avoid data overwriting.